Exporting contacts from your iPhone doesn’t have to be complicated, and this app is the proof of it. 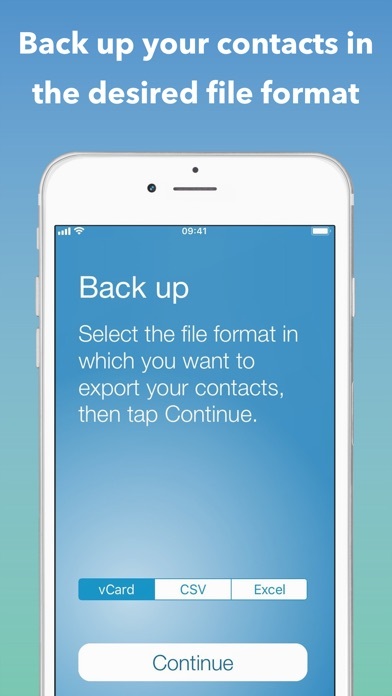 With a simple and straightforward user interface, this app will walk you through the few short steps to backing up and exporting your contacts. This application is extremely simple to use. Select the file format, back up your contacts, export them, and you’re done! Have a look at the screenshots and you will see how simple it is. Choose from three different formats to export your contacts: vCard (.vcf), CSV (.csv), or Excel (.xlsx). These are the most widely-used formats when dealing with contacts. Any of these formats will let you easily import your contacts into other apps or services such as Gmail, Outlook, and more. 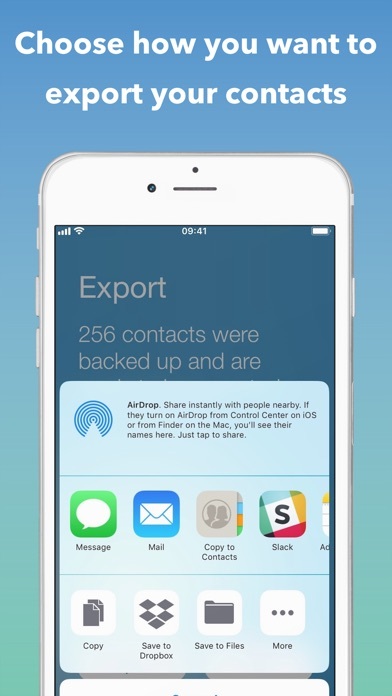 Export your contacts the way you want. You can export them using email, SMS, iMessage, Dropbox, iCloud Drive, Slack, Evernote, and more. 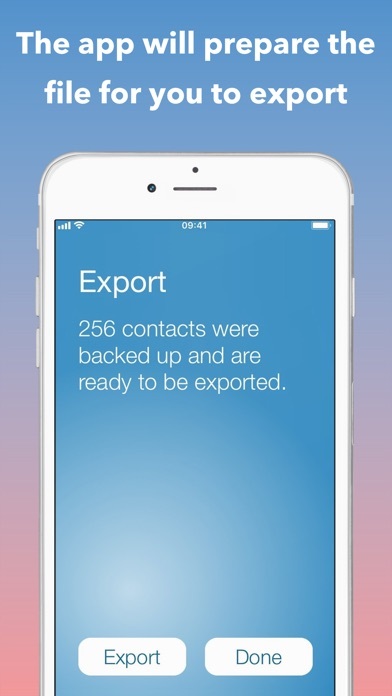 You can back up and export your contacts as many times as you want. This app is 100% safe for your contacts. The backup and export is done locally on your iPhone. Unlike other apps, this one does not analyze or store your contacts on a remote server. Unlike similar applications, this app doesn’t display any ads or tries to charge you extra for services you don’t need.